Jason Dunbar, Vice President of Luke Brown Yachts, joined the National Marine Manufacturers Association (NNMA) & Florida Yacht Brokers Association (FYBA) in Washington DC to meet with several lawmakers on Capitol Hill from May 9th to the 11th for the American Boating Congress (ABC). Jason was on "the hill" to garner support the Deferred Importation legislation currently introduced under HR 4065. Passage of this legislation would allow sellers of foreign-flagged boats to defer payment of the import duty until the time of sale, rather than an estimated value upon entry into US waters. As it currently exists, billions of dollars are deterred from entering into US waters to try and sell their yachts. Simply changing the time of collecting the duty to the day the boat is sold, will encourage billions of dollars to come the the US. Prior to the visit the bill had 13 co-sponsors. Before they left the number grew to 15 and each day more legislators are supporting the initiative. Jason also touched on other subject with lawmakers and their staff members, such as workforce development, water management, and recreational boating access. 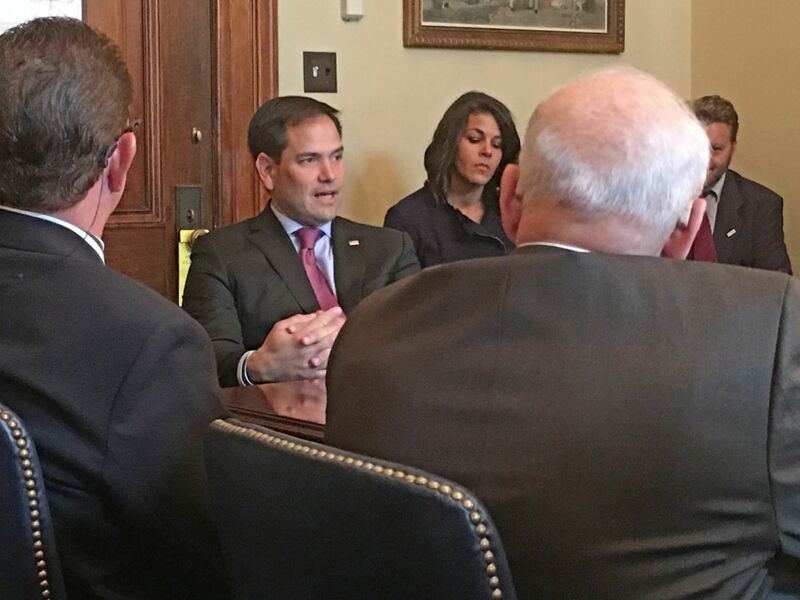 While on "the hill," Jason met with Senator Rubio, Senator Nelson, along with the Staff of Senators Warner (VA) and Senator Booker (NJ). House members Frankel, Wasserman-Schultz, Murphy, Kastor and several other members met with Jason and the FYBA delegation to discuss ways to improve recreational boating in the USA.